Greyhounds Tips - Newcastle All England Cup heats - October 11 2018. "Droopys Verve instinctively remembered for his part in a tremendous Derby final tussle at Towcester, has posted a batch of impressive trials at his home venue and warrants maximum support this evening"
Even a quick perusal of tonight's first round heats immediately draws your eyes to heat two (19:09) where a clash of the titans awaits as Derby runner-up Droopys Verve takes on exciting East Anglian Derby hero Affane Party. John Lambe's charge could hardly have been more impressive in winning that Yarmouth final, further reminding us that he is far more than the top-class sprinter that we have come to know this season. However, despite a more than respectable trial over tonight's CD, which he is sure to improve further for, it is hard to oppose Droopys Verve, who heads up a typically strong Angela Harrison team gunning for glory at her home circuit. Unraced since an unfortunate early exit from the Irish Derby, the local runner instinctively remembered for his part in a tremendous Derby final tussle at Towcester, has posted a batch of impressive trials at his home venue and warrants maximum support this evening. And with an ante post market also up for consideration via Sportsbook, a long-term wager is also strongly recommended. Harrison's bid for success in a race often referred to as the North East Derby is far from a one-pronged attack however with defending champion Droopys Expert and Droopys Trapper also strong candidates in the ante post book. Of the pair I'm far more interested in Trapper who were it not for defeat in the Northern Puppy Derby final over the same course and distance would be defending an unbeaten record from his nine races. Stepping out of puppy status for the first time tonight, the Sunderland Puppy Plate winner, has been handed what appears a relatively straight-forward assignment in heat five (19:57) and it will be a big disappointment if he fails to emerge victorious. Back him tonight and press up with an each-way ante post wager. 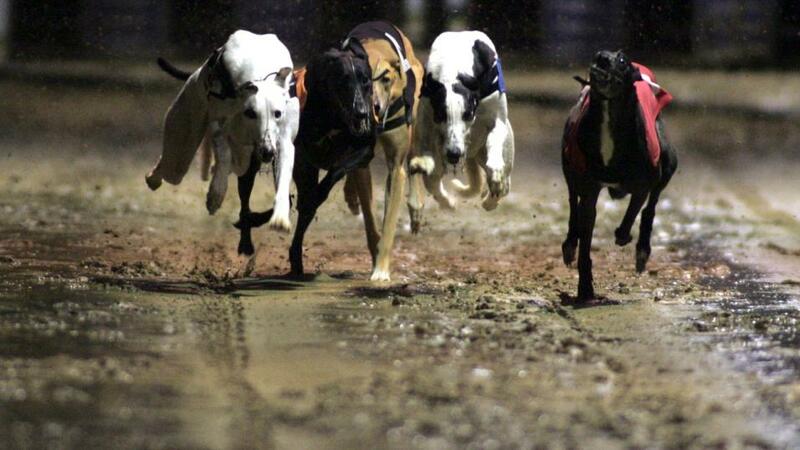 Droopys Expert went unbeaten through this event last year but despite running a stormer in defeat over the CD, after finding his path blocked at numerous stages last week, his recent record of one win from his last six and one win in his last four over CD affords some concern in a competitive heat four (19:42). Classic winner Allowdale Bruno is drawn to advantage but may find this trip stretching his stamina and it is recent Steel City Cup runner-up Nadurra Ross, a finalist in the Laurels here last winter, that makes most appeal at the odds. While trap one may not prove perfect for Jaguar Jack the presence of Droopys Policy on his immediate outside should allow Graham Rankin's charge ample racing room in heat one (18:55) and he is fancied to take his local record to three wins from as many starts. Falcon Bay also boasts excellent local figures but may fail to hold the selection, who beat him here back in August, even if trapping in front. Cooneen Jack is always a threat if trapping but with a wider draw to contend with I prefer strong running Honour Turbo in heat six (20:13) who continues to improve for Adrian McPherson and can make it seven wins from his last eight outings.